Delaware St. John is able to see the extraordinary, and uses his gift to solve mysteries. One night, he ends up in the decrepit remains of an abandoned building, nicknamed Midnight Manor. Eerie voices call to Delaware, asking him to right the wrongs of their past. Delaware is not alone in the rotting building and will need your help in Delware St. John: The Curse of Midnight Manor, a spooky Adventure game! 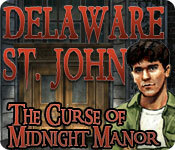 Delaware St. John - The Curse of Midnight Manor is rated 3.0 out of 5 by 16. Rated 5 out of 5 by Heather_G from True Adventure - Not Hidden Object - With a Great Story If you like hidden object adventures, this is truly not for you. Not only are there no HOS, but it doesn't lead you by the hand and offer easy help the second you get stumped. For HO gamers, this sounds like criticism. For classic adventure gamers, these are actually attributes we look for! Okay, the graphics are a little dated, and the opening credits a little long, but the story and excellent voice-acting, more than make up for that. This is a story worthy of a book. It's creepy and interesting. Please, please, Big Fish, give us more true, classic adventure games like this one!! I'm going out to buy the other two Delaware St. John games (heard a 4th is in the works). I highly recommend this game! Rated 5 out of 5 by Sergeij from An Excellent "Spooker!" I liked this game, first of all, because there were no hidden objects to drag you down. The ghostly storyline was all right, and the sound was very good. The graphics were a bit "rough" and ragged at the edges. The "endless hallway" puzzle was excellent, as were the timed chase sequences. Like "The Town with no Name," this game is divided into two chapters, yet, is quite short. Still, it keeps one's interest, even through all of the congesting, bumper-to-bumper conversation. BIG TIME GAMES comes up with a lot of places to see and explore, and I congratulate Bryan Wiegele for another entertaining game. I again ask Bryan and BIG TIME GAMES to at least consider adding a character or two to the game so that everything doesn't revolve around Delaware St. John, alone. Also, these games seem to end up "in left field." That is, they don't have a solid, final, ending. The developers should work on that important part of the adventure. Having said that, I liked the game, and I recommend it to all ghost hunters! Rated 5 out of 5 by CharHope from One of the BEST I have ever played! This is not my first adventure game. I found the story to be interesting and kept me interested the entire time. Yes, there is a lot of conversation.....that is one of the way you gain the story. Love it and I wish there was more than just 3 games. Rated 5 out of 5 by Emily1978 from A Fantastic Adventure game with no Hidden Object scenes I mainly love the fact that there is no Hidden Object scenes. You just are allowed to go and explore. I love the Charicters conversations, it helped the game in so many ways, I wish there were more of this game by Delaware St John. Rated 5 out of 5 by Emerald_Storm from In depth! The interface for the game is a simple point and click - not the see-saw mouse type. Navigation is easy, but the challenge level is a bit on the high scale. This suited me fine - just warning others. The biggest con for me is that you can't click past the converstaions. And there are quite a few between Delaware and *VIC*/Kelly. Yes, it's useful, but I can read the conversations in a fraction of the time it takes for them to be spoken aloud. Lots to poke around, find, and figure out in this game. If you like *gimme* games that always provide you with the very thing you need right when you are going to need something, this is not the game for you. 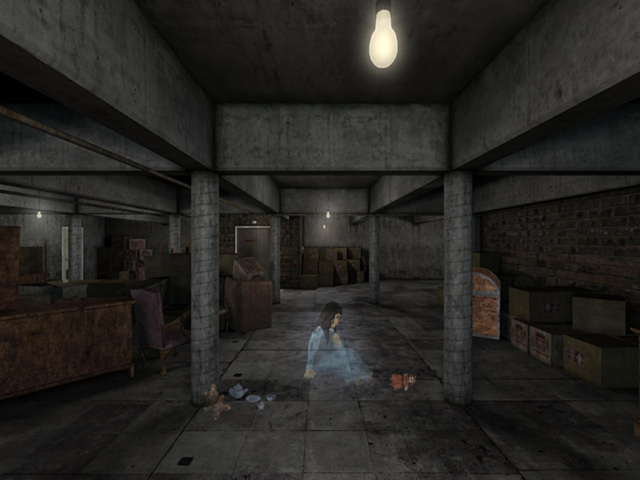 Rated 5 out of 5 by marg6043 from Fantastic game This game is a great interactive ghost story, it kept me busy for hours, is truly challenging at least for me. The graphics were great, you have to move around a lot, looking for clues, I love the ghost in the story and the mystery. Great, game for those that love a ghost story thrill. 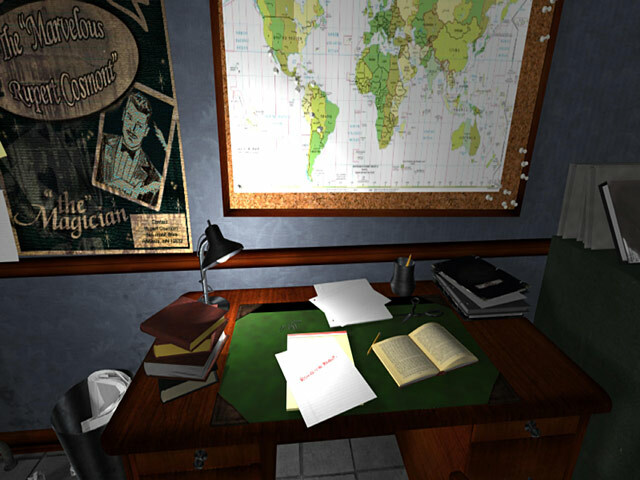 Rated 2 out of 5 by Mrs_Kim from Going in circles I like point and click game like Nancy Drew or Syberia so I thought I gave this game a try. Was doubtful at first seeing the negative reviews but I thought I should try first before commenting. First of all it was pretty creepy until the ghosts start coming out. They are not the creepy type but rather a flashback of what's happening at the manor. I had no idea what to do given no task list or journal, so I moved around in circles trying to figure out what to do next. 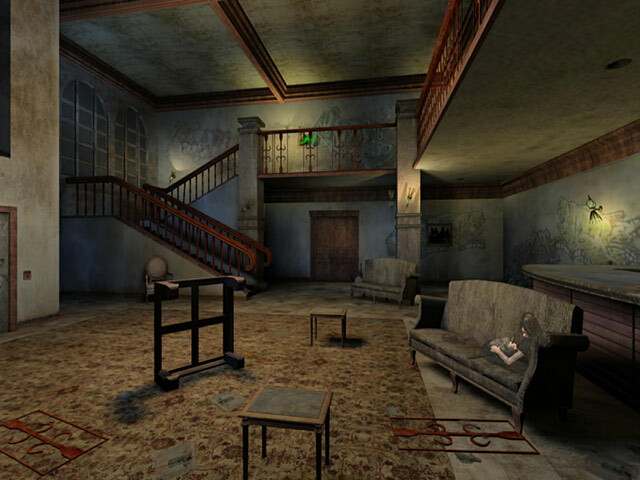 The manor is creepy when we first got into the game but then it was ruined since we got to get the electricity running in very early in the game. I think I encountered 20 doors that are locked, and only three or four that can be really accessed. It was annoying when we got the "eye" symbol meaning there's something to see (I thought) but turns out there's nothing, nothing to pick, nothing to zoom in. Conversations between characters (Delaware and Kelly) is not that bad but hate it that Kelly sounds like she is reading from a book. I only tried the demo and I wasted it because I was going around with no clear direction. I only found out what to do after checking the walkthrough. So hoping their next game is better and oh, I don't like seeing unskippable credits at the beginning of the game! Rated 2 out of 5 by msvonnie from I don't know what I was thinking! I bought this game several years ago probably near when I first started the club. I have tried, tested, and purchased so many games since then that I play them randomly. In going back to this one there is too much dialogue, and no option to change preferences. I wish I had waited on this one! Rated 2 out of 5 by jcballar from Not Ready for Primetime Only 30 min demo and I spent five of those watching the credits roll by at the beginning (and cannot be skipped). After spending 15 more minutes going around in circles in the basement without ever finding the needed generator, I gave up and uninstalled. Odd game that offers no help feature. Delaware St. John is able to see the extraordinary, and uses his gift to solve mysteries. Help him explore a mysterious manor!